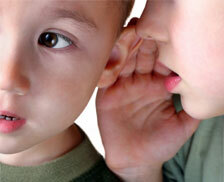 The purpose of a speech and language evaluation is to measure your child's communication skills. Stacey will conduct a complete and comprehensive evaluation that includes an Oral motor assessment and feeding evaluation, formal and informal testing and observations in all of the child's environments. She will then provide a comprehensive write-up and recommendations. After the evaluation, she will create a therapy plan tailored to each child. One-on-one therapy sessions allow Stacey to hone in on a child's needs and specific goals. For children who are unable to clearly communicate his or her ideas, wants and needs, unable to demonstrate an understanding of basic concepts, answer questions, and follow directions. Stacey incorporates exercises and oral motor massages to help increase weak lingual, labial and mandibular strength and mobility. She also helps children develop age-appropriate feeding skills and promote positive mealtime behaviors in order to foster healthy feeding habits. Many children have difficulties developing and maintaining friendships because of deficits in social and pragmatic language skills. These sessions, which involve 2-4 children, develop a child's social and pragmatic skills with creative play and common scenarios that include increasing eye contact, initiating and maintaining a conversation, turn taking and symbolic play. Parents are invited and encouraged to join these lively and music-filled classes for children, ages 2-4. Typical children's songs and play interactions, such as "The Alphabet," "Old McDonald" and "Duck Duck Goose" are taught and practiced with visuals, toys and sign language. This weekly sign language course teaches adults how to use sign language to communicate.